A) THE VESSEL MUST BE AT LEAST THREE YEARS OLD. C) THE INTENDED USE MUST BE TO CARRY PASSENGERS ONLY. ACTIVITIES SUCH AS CARRIAGE OF CARGO, COMMERCIAL FISHING, TOWING, DREDGING AND SALVAGE DO NOT QUALIFY FOR THIS PROGRAM. SPORT FISHING IS PERMITTED AS LONG AS THE FISH CAUGHT ARE NOT SOLD COMMERCIALLY. 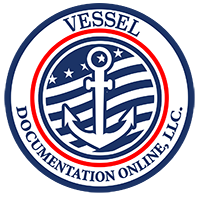 THIS IS NOT A WAIVER OF ANY VESSEL DOCUMENTATION, VESSEL MANNING OR VESSEL INSPECTION REQUIREMENT. ONCE A WAIVER IS RECEIVED, THE APPLICANT SHOULD FILE FOR A COAST-WISE TRADE ENDORSEMENT AS A PASSENGER VESSEL WITH THE U.S. COAST GUARD (USCG) IF THE VESSEL IS GREATER THAN 5 NET TONS. This collection of information is required to obtain a waiver of the U.S.-build and other requirements of the Passenger Services Act (46 U.S.C. 55103) and will be used by the Maritime Administration to determine if the applicant is entitled to a waiver.